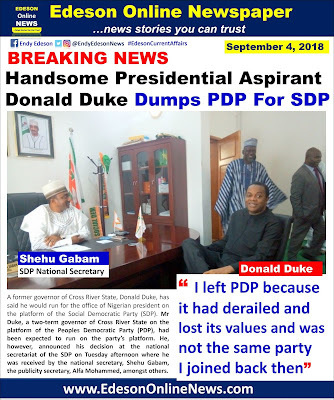 A former governor of Cross River State, Donald Duke, has said he would run for the office of Nigerian president on the platform of the Social Democratic Party (SDP). 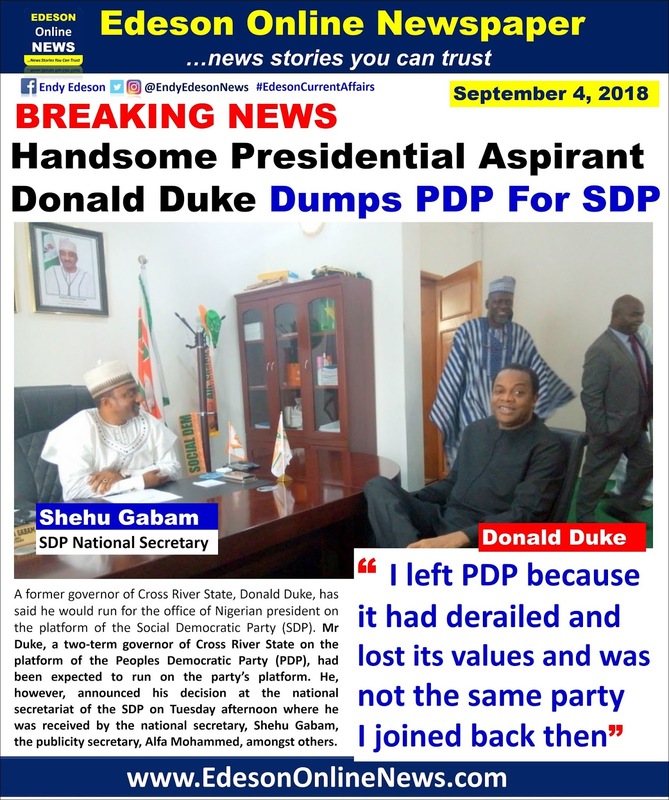 Mr Duke, a two-term governor of Cross River State on the platform of the Peoples Democratic Party (PDP), had been expected to run on the party’s platform. He, however, announced his decision at the national secretariat of the SDP on Tuesday afternoon where he was received by the national secretary, Shehu Gabam, the publicity secretary, Alfa Mohammed, amongst others. He said he left his party of about 20 years because it had derailed and lost its values and was not the same party he joined back then. Obudu cattle ranch, both of which have been mired in controversy since his exit. i laugh.i pray GOD b wit us. Let him win biko. Lets have fine handsome President for once. Duke should better go and sleep...Nothing for him.